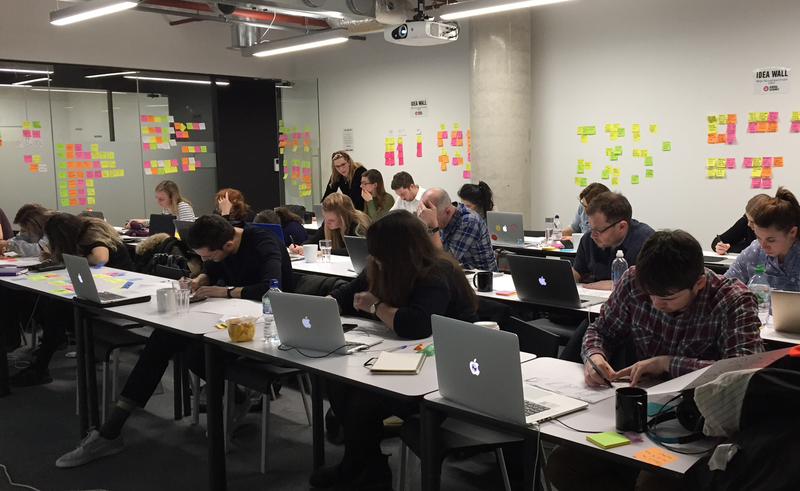 I’ve helped over 120 students learn about the importance and power of UX as one of the Lead UX instructors at General Assembly in London. 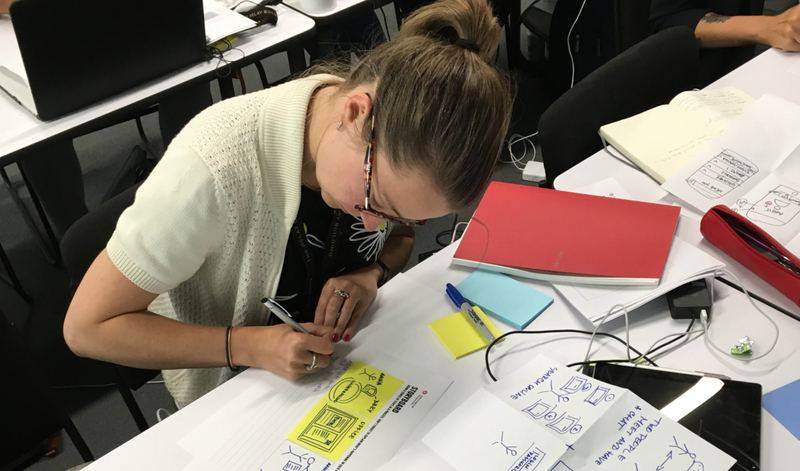 I teach the 1 and 2-day bootcamps and the 1 week UX Design Accelerated course. Alex taking the class through the problem that he’s tackling through design. General Assembly is a pioneer in education and career transformation, specialising in today’s most in-demand skills. Leading source training, staffing and career transitions, they foster a flourishing community of 40,000+ global alumni and 250+ expert instructors. What began as a co-working space in 2011 has since grown into a global learning experience with campuses in 20 cities across the world. I’ve been able to immerse myself in the General Assembly community to get back into something that I love doing — sharing my own experiences. I do this through teaching, mentoring and speaking at events on campus. The UXDA course is offered as both a part-time, twice a week (for 10 weeks) option and also as a compressed, intense one week option. One of the main focuses of any General Assembly course is practical teaching, and the aim is to make at least 40% of each and every day chock-full of practical exercises for the class. The UXDA class hard at work. 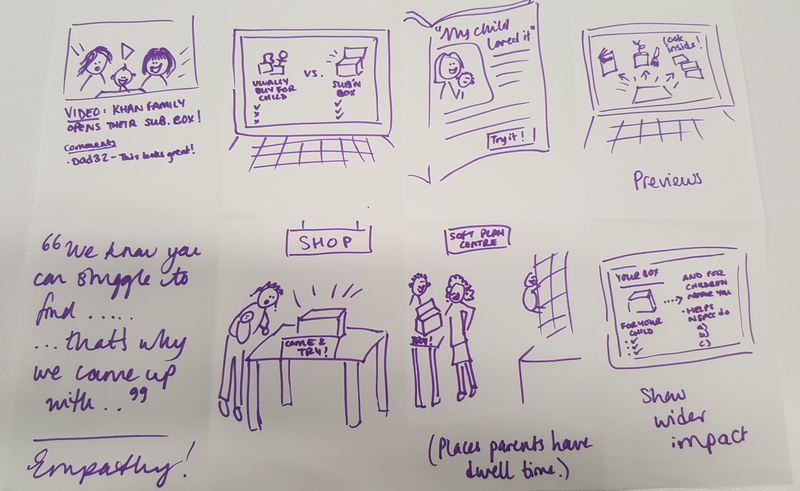 How do you teach UX? Yulia putting together her storyboard to help form a user flow. How do you manage to keep the class engaged in something that is hard to define and open to hundreds of different interpretations and nuances? I broke the course materials down to focus on the most important thing, people. Part of teaching is understanding the engagement learning of each and every student and the class as a whole, and so the teaching process is iterative itself. It’s not uncommon to adjust the class as I go and call on my experience of using the best method or scenario rather than following a ‘cookie-cutter’ plan. This results in a more dynamic approach and so encourages class discussion and participation. By observing and adjusting, I’m able to deliver a week-long class which is made up of the classes that dissect the UX process. To enable people to learn the process, you first have to break it down into smaller chunks and enable people to embrace what they’re doing – to believe that they can see the results at the end of the week. Crazy Eights – to help loosen up the student’s creative ‘muscle’. Read more about my experience as an instructor in a Medium article I wrote: The experience of having experience: My story about being an Instructor at General Assembly.